The Democratic Alliance at its recent congress raised and debated the policy proposal that child grants paid to poor parents should be increased in value and in due course doubled. The justification is a laudable one. The DA is concerned about high rates of malnourishment that is prevalent among poor children, and that manifests as stunted growth. That in turn has a number of deleterious consequences, including diseases and educational disadvantages suffered by young people. 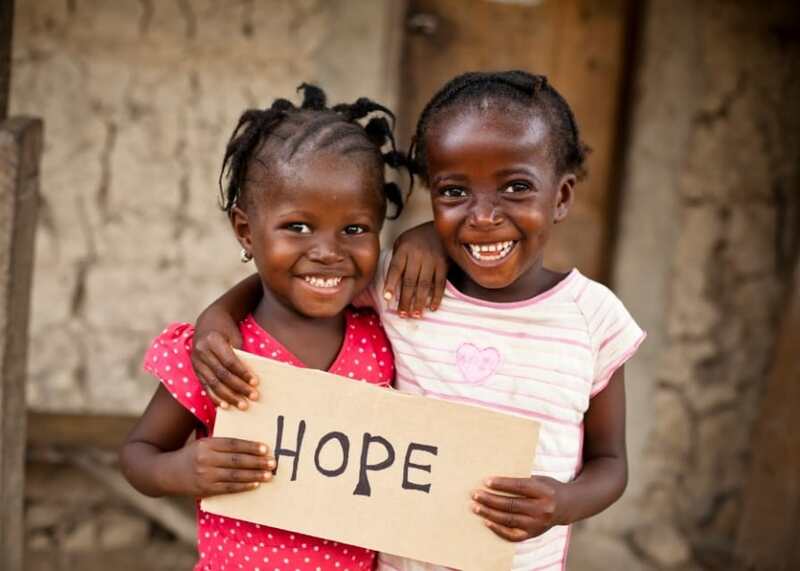 It is important that we remind ourselves at the outset what it is that we want to achieve: We want to avoid the poverty trap that is making this endemic developing-world state of affairs possible. It is fairly clear that in Africa at least, it is the relatively wealthy countries that have best dealt with the problem of malnourishment. That problem will best be tackled then, by growing our economy. That this is so, is demonstrated by Ghana, Gabon, Congo and Nigeria, that disprove the idea that it is grants that achieve the beneficial results. These countries are all relatively wealthy countries (in the African context at least) and they have low malnourishment figures. Most importantly they have very low social spending. That supports the idea that what matters is wealth created by people themselves, not social grants. The 2nd, 3rd and 4th quartiles do not continue with the trend of high levels of social spending correlating with low malnourishment. If there was anything to the theory, we would have expected lower social spending progressively to deliver more malnourishment. There is no such correlation. The bottom quartile is as successful as the second in fighting malnourishment. Against the background of such growth, if these grants were necessary and effective in dealing with the problem of malnourishment, one would have expected that malnourishment would have been much worse in 2000, and would have been drastically reduced since then. Instead, as we see in the above figures, SA already had relatively low malnourishment by African standards, and it was not reduced by any significant degree between 2000 and 2015. The authors Deveraux and Waider show that while there has been some reduction in the prevalence of out-and-out hunger, the rate of stunting due to malnutrition was almost constant over the period 1993 to 2008, with a very modest decline in 2012. The point is if grants were such a powerful instrument to fight malnutrition, should we not by now have seen a far more dramatic improvement? We must remember that over the same period (2000-2015) unemployment in SA (on the narrow definition) increased from about 4 million to 5.5 million. That means that while it is true that many people were lifted out of absolute poverty by means of social grants, these grants went to an increasing crowd of jobless workers. (Theoretically of course they went in aid of children, but remember it is the parents who spend the money, so all the unemployed adults in an extended family are likely to benefit too). The result is not only that an increasingly unproductive process is taking place (as fewer people work for the food so distributed), but the number of mouths to feed (other than targeted children) is increasing all the time. This creates a classicwelfare trap. While fewer produce, more become dependent on consuming. What is more, given the need to spread the meagre produce purchased with a grant in this way, is hardly likely to achieve the aim of good, balanced nutrition for children. So inevitably the proposal is now to double the benefit. That must mean that there will be an increasing burden on the fiscus. According to the South African national budget for 2017/18, out of total income of R1 414.1 billion, R180 billion already goes to welfare[ii]. That amounts to about 11.5 per cent of the budget. [iii] It is not clear where the saving should come from to fund the doubling og the grant. In other words, the more the state spends (as is likely to happen if the suggestion of the DA comes to fruition), the more the takers are likely to be. The economic principle is known as “the tragedy of the commons”: As soon as a resource is free and available to the public, it tends to be exhausted as more and more people make use of it. There is no check on the consumption. Long before any economic benefits of improved child nutrition will be felt, those benefits will be swamped by the growing idleness that feeds on it. What is more, there is a strong case to be made that welfare grants contribute to our reprehensibly low start-up rate of small businesses. It is clear that the vast majority of our unemployed do not even consider starting a business. Someone sitting at home (possibly in a free government house) who receives a grant providing enough to buy food for the family, may well have felt compelled to start a small business in the absence of that grant. It is clear that there is a perception that the government will provide. There is no urgency to start new businesses. Save for Namibia, South Africa is by far the highest spender of state funds on welfare in terms of percentage of GDP. South Africa spends three times as much on welfare expressed as a percentage of GDP, but more than six times as much in absolute dollar terms per capita, than its African counterparts. Looked at another way: as there are about 17 million welfare recipients in South Africa (about 30 per cent of the population), we are talking of a massive injection of cash for no productive work in return. That $396.27 per capita per year translates to about R1 350 per beneficiary per month on average. In comparison to South Africa’s $396.27, of the entrepreneurial countries identified earlier, Burkina Faso spends $20.35 per person per year. Uganda, recently named the most entrepreneurial country in the world,[vi] spends a puny $11.10. These countries have such low welfare payments that clearly there is strong motivation to work or start a business. No country can hope to supply jobs to all of its citizens who want to work, without a growing business sector. Every single private-sector employer once was a business start-up. There is no way in the world that we will reverse the growing tide of unemployment by means of welfare grants targeted at children, while those are gradually and voraciously eaten up by the unemployed. Welfare grants are displacing employment. The only sources for state expenditure are taxpayers’ money, state borrowing or printing cash. All of these undermine the collective purse of the country, taking up money that could have been used by the private sector to create real jobs and wealth. That may well not happen. But how are we to turn the growing trend of unemployment around if we were to double child care grants? There is not a socialist policy that fails (and believe me, this one is failing) that does not sooner or later elicit the retort from its proponents: What we need to do, is just to spend more money on it. No we do not. What we need to do is to create more jobs. Millions more. Towards which which the Job Seekers Exemption Certificate, also proposed by the DA, is an excellent start. 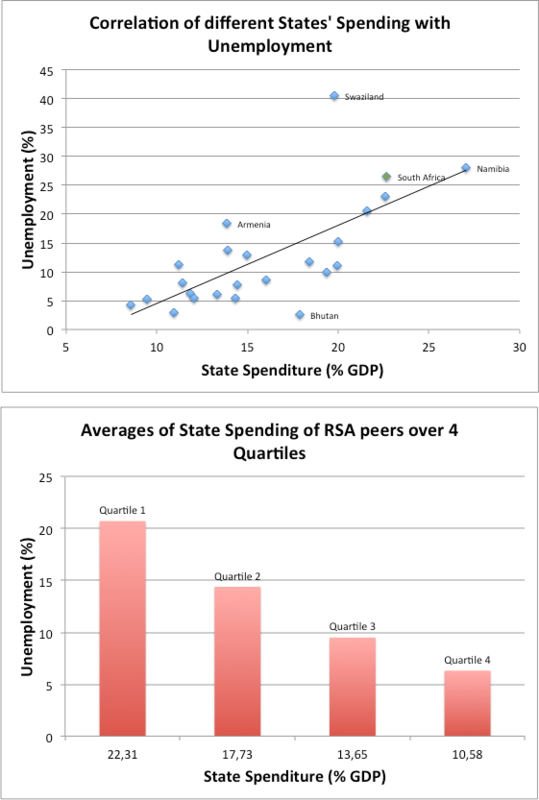 [i] Statistics South Africa, ‘Poverty trends in South Africa: An examination of absolute poverty between 2006 and 2011’, 2014, available at http://www.statssa.gov.za/publications/Report-03-10-06/Report-03-10-06March2014.pdf (last accessed 22 March 2017). [ii] Budget 2017: Budget Review, National Treasury of the Republic of South Africa, 22 February 2017. [iv] Global Entrepreneurship Monitor 2016/17 Global Report (Global Entrepreneurship Research Association, 2017), available for download at http://www.gemconsortium.org/report (last accessed 20 March 2017). [v] World Bank, Social Security Protection Indicators, available at http://datatopics.worldbank.org/aspire/indicator/social-expenditure (last accessed 22 April 2017). [vi] Megan Kurose, ‘The most entrepreneurial country in the world (hint: it’s not the U.S.)’, StartupRounds, 19 January 2017, available at https://www.startuprounds.com/entrepreneurial-country-world-hint-not-u-s/ (last accessed 26 April 2017). [vii] SAIRR, ‘South Africa: A new national growth strategy’, May 2016, available at http://irr.org.za/reports-and-publications/occasional-reports/files/sairr_national-growth-stategy_web_200516.pdf (last accessed 20 March 2017). [viii] Louise Ferreira, ‘Factsheet: Social grants in South Africa – separating myth from reality’, Africa Check, available at https://africacheck.org/factsheets/separating-myth-from-reality-a-guide-to-social-grants-in-south-africa/ (last accessed 12 March 2017).